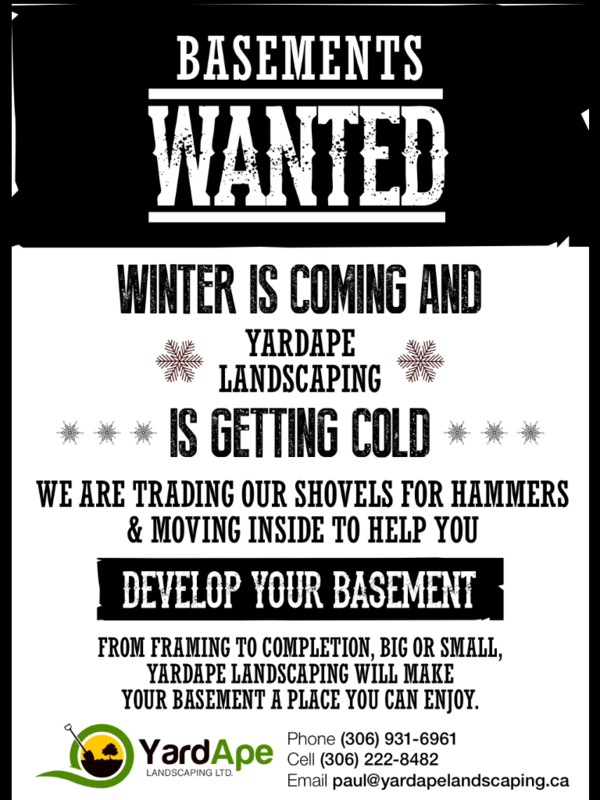 Yardape Landscaping will also insulate, poly wrap and board garages or storage areas to keep those areas warm for the winter months. We can de-clutter those storage areas in the basement and garage by building shelves or storage units. This gets your stuff off the floor so you can park in the garage or actually walk into your storage areas without falling over. Give us a call for a fee estimate.